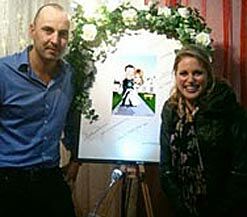 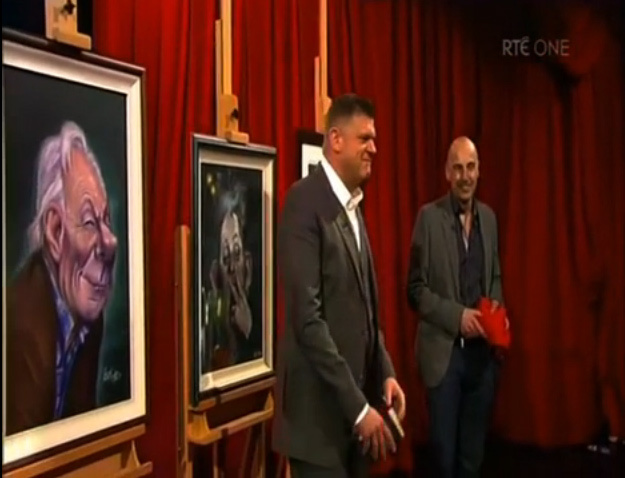 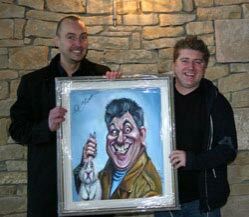 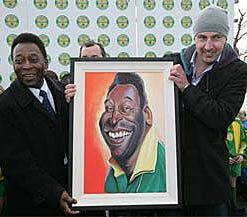 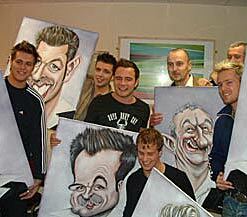 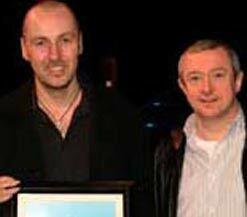 Widely regarded as the No1 caricaturist in Ireland, Niall enjoys sell-out exhibitions and has appeared on numerous Radio and TV shows including the Saturday night and Late Late show and completed commissions for many well known celebrities from both Ireland and abroad. 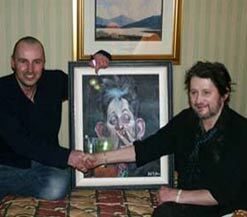 "It looks like me, it really looks like me "
"You captured my manic look for sure!" 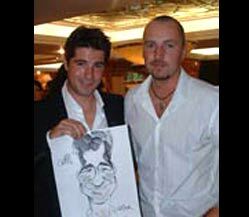 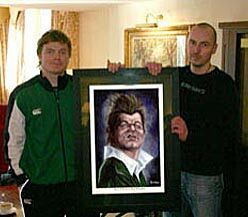 You got the crooked teeth and all, ye Bast**d"
Brian O'Driscoll with his own personal caricature. 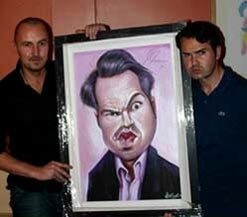 "You had a lot to work with"